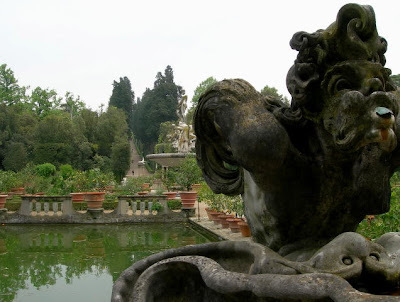 A view within Florence's Boboli Gardens. I can envision the grand ladies of their time strolling through these beautiful gardens in their elaborate and colorful gowns. What a pretty picture.